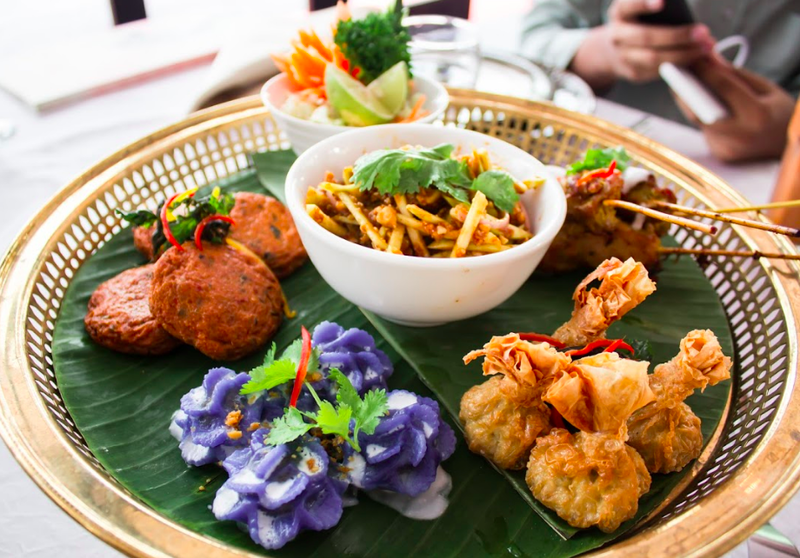 A Thai feast fit for a king? 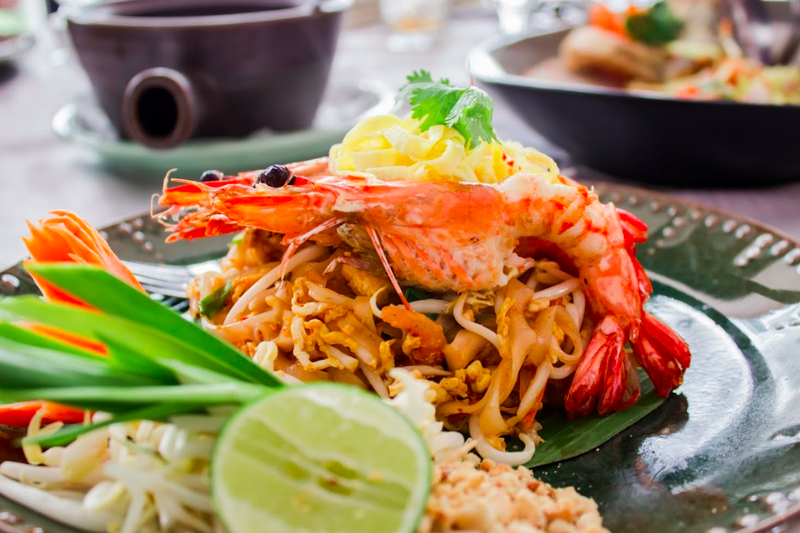 Rama V (pronounced Rama Five) is popular among KLites for its delectable take on traditional Thai food. Having heard so much about the restaurant, we decided to do ourselves a favour and savour the dishes they offer (obviously we couldn’t resist for much longer). Rama V’s location is definitely something to shout about. Nestled between the embassies, it masquerades as a bungalow house – but once we stepped in, the glass panels and spacious interior with ethnic Thai nuances welcomed us into a fully Thai-licious experience! We started our lunch feast with the Ayutthaya Platter for 4, which featured 5 different appetisers – a feast on its own, if you ask me! My favourite was the Thai fish cake, which tasted so wonderful with its mix of Thai spices. There was also the Flower Dumpling, which had a nice marriage of sweet and savoury taste. With these, there was also Thai Satay, Mango Salad and Money Bags. What a start to our meal! We opted to go without rice for our lunch, but the portions were so generous, we were filled to the brim by the time we were done! We tried Rama V’s Massaman Chicken Curry, which had a bit of Indian influence with the spices used. It was thick and creamy, and the chicken cubes were tender and well-cooked. We also sampled the Crispy Duck with Tamarind Sauce, which was suitable for those who prefer non-spicy food without skimping on flavour. The highlight of the day was the Pad Thai, for sure. Rice noodles stir fried and served with fresh tiger prawns, the dish was spicy, savoury and very fulfilling! I particularly enjoyed the sweetness of the prawns juxtaposed with the spiciness of the stir-fried noodles. Lovely is an understatement for sure! 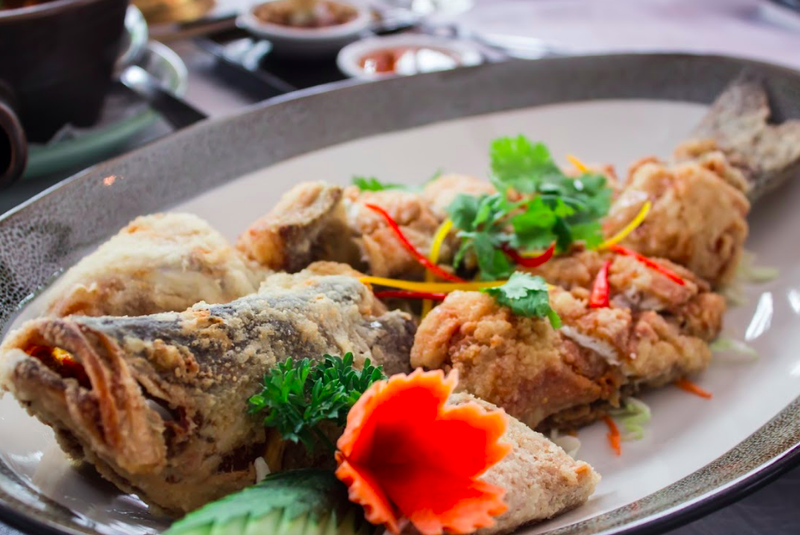 Thai food revels in its usage of seafood, and we definitely didn’t leave without trying a fish dish. Crispy Dancing Seabass with Mango Salad was its name, and let me tell you – it had been a very long time since I had fish so crispy outside with a perfectly flaky inside. The mango on top of the fish was drizzled with mango sauce, which complemented the fish truly. Highly recommended! For dessert, we rubbed our hands in glee upon seeing the Sticky Rice with Mango. Traditional yet timeless, the Thai specialty tasted wonderful on our tongues and gave us a much needed respite from the chili wave we experienced earlier. The portion is quite generous, so this is for sharing! 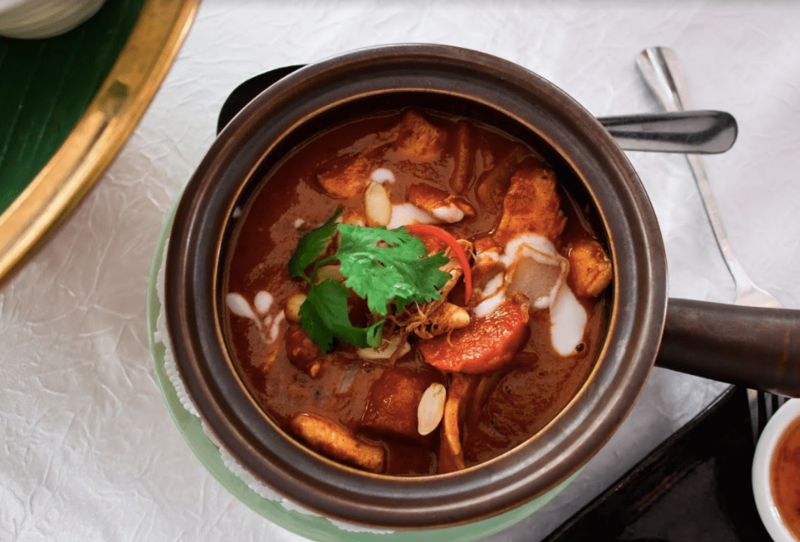 As we left Rama V with full tummies and happy smiles, I can safely say Rama V serves up an extravagant array of dishes with the best ingredients – it will sure be fit for any king!